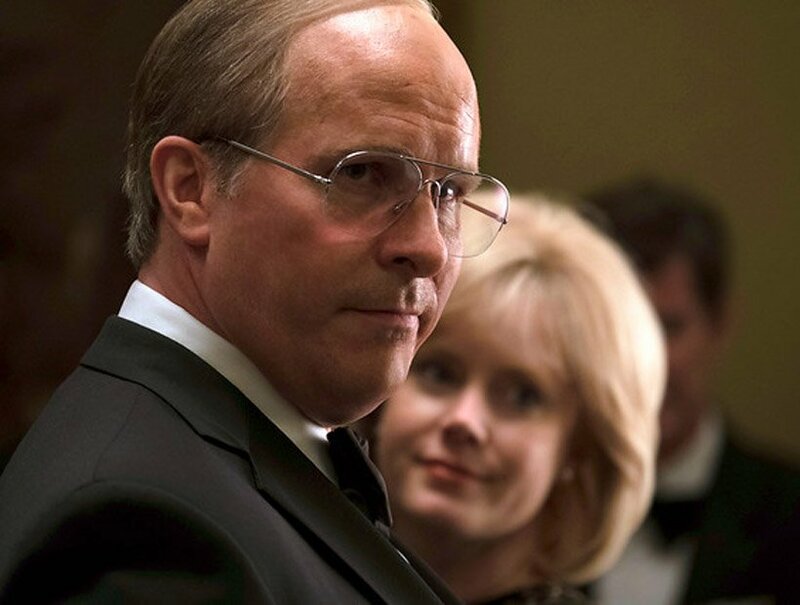 06.12.2018 La comedia política "Vice" lideró las nominaciones cinematográficas con seis categorías, seguida del musical "A Star is Born", la comedia histórica "The Favourite" y "Green Book". La Asociación de la Prensa Extranjera de Hollywood (HFPA) dio a conocer a los nominados a los Globos de Oro. Los premios serán entregados el 6 de enero en una ceremonia en Beverly Hills. La comedia política "Vice" lideró las nominaciones cinematográficas en seis categorías, seguida del musical "A Star is Born", la comedia histórica "The Favourite" y "Green Book". Cine-Mejor película de drama: "Black Panther", "BlacKkKlansman", "Bohemian Rhapsody", "If Beale Street Could Talk", "A Star Is Born". -Mejor película musical o de comedia: "Crazy Rich Asians", "The Favourite", "Green Book", "Mary Poppins Returns", "Vice". -Mejor director: Bradley Cooper, "A Star Is Born"; Alfonso Cuarón, "Roma"; Peter Farrelly, "Green Book"; Spike Lee, "BlacKkKlansman"; Adam McKay, "Vice". -Mejor actriz, drama: Glenn Close, "The Wife"; Lady Gaga, "A Star Is Born"; Nicole Kidman, "Destroyer"; Melissa McCarthy, "Can You Ever Forgive Me? "; Rosamund Pike, "A Private War". -Mejor actor, drama: Bradley Cooper, "A Star Is Born"; Willem Dafoe, "At Eternity's Gate"; Lucas Hedges, "Bpy Erased"; Rami Malek, "Bohemian Rhapsody"; John David Washington, "BlacKkKlansman". -Mejor actriz, musical o comedia: Emily Blunt, "Mary Poppins Returns"; Olivia Colman, "The Favourite"; Elsie Fisher, "Eighth Grade"; Charlize Theron, "Tully"; Constance Wu, "Crazy Rich Asians". -Mejor actor, musical o comedia: Christian Bale, "Vice"; Lin-Manuel Miranda, "Mary Poppins Returns"; Viggo Mortensen, "Green Book"; Robert Redford, "The Old Man & The Gun"; John C. Reilly, "Stan & Ollie". -Mejor actriz de reparto: Amy Adams, "Vice"; Claire Foy, "First Man"; Regina King, "If Beale Street Could Talk"; Emma Stone, "The Favourite", Rachel Weisz, "The Favourite". -Mejor actor de reparto: Mahershala Ali, "Green Book"; Timothée Chalamet, "Beautiful Boy"; Adam Driver, "BlacKkKlansman"; Richard E. Grant, "Can You Ever Forgive Me? "; Sam Rockwell, "Vice". -Mejor película en lengua extranjera: "Capernaum" (Líbano), "Girl" (Bélgica), "Never Look Away" (Alemania), "Roma" (México), "Shoplifters" (Japón). -Mejor cinta animada: "Incredibles 2", "Isle of Dogs", "Mirai", "Ralph Breaks the Internet", "Spider-Man: Into the Spider-Verse". -Mejor guión: Alfonso Cuarón, "Roma"; Deborag Davis y Tony McNamara, "The Favourite"; Barry Jenkins, "If Beale Street Could Talk"; Adam McKay, "Vice"; Nick Vallelonga, Brian Currie y Peter Farrelly, "Green Book". -Mejor música original: Marco Beltrami, "A Quiet Place"; Alexandre Desplat, "Isle of Dogs"; Ludwig Göransson, "Black Panther"; Justin Hurwitz, "First Man"; Marc Shaiman; "Mary Poppins Returns". -Mejor canción original: "All The Stars", "Black Panther"; "Girls In The Movies", "Dumplin'"; "Requiem For A Private War", "A Private War"; "Revelation", "Boy Erased"; "Shallow", "A Star Is Born". Televisión-Mejor serie de drama: "The Americans", "Bodyguard", "Homecoming", "Killing Eve", "Pose". -Mejor actriz, serie de drama: Caitriona Balfe, "Outlander"; Elisabeth Moss, "The Handmaid's Tale"; Sandra Oh, "Killing Eve"; Julia Roberts, "Homecoming"; Keri Russell, "The Americans". -Mejor actor, serie de drama: Jason Bateman, "Ozark"; Stephan James, "Homecoming"; Richard Madden, "Bodyguard"; Billy Porter, "Pose"; Matthew Rhys, "The Americans". -Mejor serie de comedia o musical: "Barry", "The Good Place", "Kidding", "The Kominsky Method", "The Marvelous Mrs. Maisel". -Mejor actriz, serie de comedia o musical: Kristen Bell, "The Good Place"; Candice Bergen, "Murphy Brown"; Allison Brie, "Glow"; Rachel Brosnahan, "The Marvelous Mrs. Maisel"; Debra Messing, "Will and Grace". -Mejor actor, serie de comedia o musical: Sacha Baron Cohen, "Who Is America"; Jim Carrey, "Kidding"; Michael Douglas, "The Kominsky Method"; Donald Glover, "Atlanta"; Bill Hader, "Barry". -Mejor serie limitada o película hecha para TV: "The Alienist", "The Assassination of Gianni Versace: American Crime Story", "Escape at Dannemora", "Sharp Objects", "A Very English Scandal". -Mejor actriz, serie limitada o película hecha para TV: Amy Adams, "Sharp Objects"; Patricia Arquette, "Escape at Dannemora"; Connie Britton, "Dirty John"; Laura Dern, "The Tale"; Regina King, "Seven Seconds". -Mejor actor, serie limitada o película hecha para TV: Antonio Banderas, "Genius: Picasso"; Daniel Brühl, "The Alienist"; Darren Criss, "The Assassination of Gianni Versace: American Crime Story"; Benedict Cumberbatch, "Patrick Melrose"; Hugh Grant, "A Very English Scandal". -Mejor actriz de reparto, serie, serie limitada o película hecha para TV: Alex Borstein, "The Marvelous Mrs. Maisel"; Patricia Clarkson, "Sharp Objects"; Penélope Cruz, "The Assassination of Gianni Versace: American Crime Story"; Thandie Newton, "Westworld"; Yvonne Strahovski, "The Handmaid's Tale". -Mejor actor de reparto, serie, serie limitada o película hecha para TV: Alan Arkin, "The Kominsky method"; Kieran Culkin, "Succession"; Edgar Ramírez, "The Assassination of Gianni Versace: American Crime Story"; Ben Whishaw, "A Very English Scandal"; Henry Winkler, "Barry".